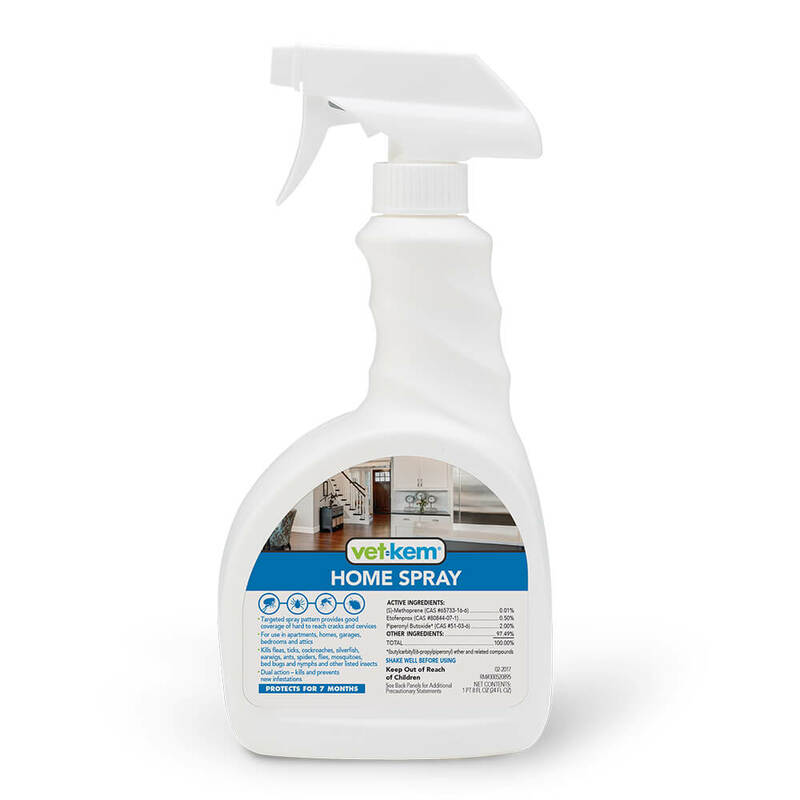 Vet-Kem® Siphotrol® Plus Area Treatment Pump Spray for Homes is a water based-formula that is perfect for treating carpet, rugs, upholstered furniture and pet bedding for all sorts of pests. Vet-Kem® Siphotrol® Plus Area Treatment Pump Spray for Homes kills adult fleas, ticks, cockroaches, silverfish, earwigs and ants on contact. Each spray bottle treats up to 300 square feet. Specialized Precor® IGR stops flea eggs and flea larvae from developing into adult fleas for up to seven months. Read package directions carefully before using. Shake well before using. One bottle treats up to 300 feet.